Hi everybody! Thanks for coming! I didn't know how many would be here tonight, but I'm very encouraged by seeing you all gathered - so thanks for making the effort to be here. I believe God is going to meet with us, and I certainly have a word from Him. So, we're going to Judges chapter 6 and we're going to begin reading at verse 11. Let's just pray a brief prayer before we read, OK, and just ask the Lord to speak to you now - would you do that? Just say: 'Lord, speak to me'. Father, we just come, and we ask You now to speak into every heart, that we will truly encounter You tonight. Lord, we need a word from You, and we welcome the Holy Spirit, in Jesus' name, to come and minister to everyone here. Thank You, Father. Amen. Verse 11 then: "Now the Angel of the Lord came and sat under the terebinth tree which was in Ophrah, which belonged to Joash the Abiezrite, while his son Gideon threshed wheat in the winepress, in order to hide it from the Midianites. And the Angel of the Lord appeared to him, and said to him, 'The Lord is with you, you mighty man of valor!'. Gideon said to Him, 'O my lord, if the Lord is with us, why then has all this happened to us? And where are all His miracles which our fathers told us about, saying, 'Did not the Lord bring us up from Egypt?' But now the Lord has forsaken us and delivered us into the hands of the Midianites'. Then the Lord turned to him and said, 'Go in this might of yours, and you shall save Israel from the hand of the Midianites. Have I not sent you?'. So he said to Him, 'O my Lord, how can I save Israel? Indeed my clan is the weakest in Manasseh, and I am the least in my father's house'. And the Lord said to him, 'Surely I will be with you, and you shall defeat the Midianites as one man'. Then he said to Him, 'If now I have found favor in Your sight, then show me a sign that it is You who talk with me. Do not depart from here, I pray, until I come to You and bring out my offering and set it before You'. And He said, 'I will wait until you come back'. So Gideon went in and prepared a young goat, and unleavened bread from an ephah of flour. The meat he put in a basket, and he put the broth in a pot; and he brought them out to Him under the terebinth tree and presented them. The Angel of God said to him, 'Take the meat and the unleavened bread and lay them on this rock, and pour out the broth'. And he did so. Then the Angel of the Lord put out the end of the staff that was in His hand, and touched the meat and the unleavened bread; and fire rose out of the rock and consumed the meat and the unleavened bread. And the Angel of the Lord departed out of his sight. Now Gideon perceived that He was the Angel of the Lord. So Gideon said, 'Alas, O Lord God! For I have seen the Angel of the Lord face to face'. Then the Lord said to him, 'Peace be with you; do not fear, you shall not die'. So Gideon built an altar there to the Lord, and called it The-Lord-Is-Peace. To this day it is still in Ophrah of the Abiezrites. Now it came to pass the same night that the Lord said to him, 'Take your father's young bull, the second bull of seven years old, and tear down the altar of Baal that your father has, and cut down the wooden image that is beside it; and build an altar to the Lord your God on top of this rock in the proper arrangement, and take the second bull and offer a burnt sacrifice with the wood of the image which you shall cut down'. So Gideon took ten men from among his servants and did as the Lord had said to him. But because he feared his father's household and the men of the city too much to do it by day, he did it by night" - and we end our reading there. Now, if this is your first night you're very welcome, but we've been having each month, as I have been with the folk here in Loughbrickland, a series entitled 'Divine Encounters', what can happen in a moment with God. What we're seeking to do is, look at biblical characters who had experiences with God, face-to-face, personal, intimate encounters that changed their lives forever. It's very elementary, really, in the sense that anybody that ever encounters God in this fashion, they are never the same again. What can happen in a moment of time with God is profound. So far in this series we have considered 'Moses At The Burning Bush', and last month we looked at 'Jacob At Jabbok', where he wrestled with a man and didn't realise he was wrestling with God. On both those occasions, and in every character we will look at, their lives were completely transformed, turned upside down, topsy-turvy, because they were touched by the eternal reality of the Spirit of God - and you can never be the same again when you have a Divine encounter. So what we've been doing as we have looked at these stories - and Gideon is for our consideration tonight, Gideon having his Divine encounter at the winepress - let me just say it is utterly impossible for me to expound every little detail in each of these stories, but that is not my objective. My objective is purely to consider the principles of their encounter with God, to isolate those in order for us to learn how we can position ourselves in such a way as to experience and encounter ourselves. Do you understand? So we will be overreaching a lot of stuff that maybe would be worthy of our attention on another occasion, but tonight we want to really focus in on those things that lend themselves to us receiving a Divine encounter from God. There are six things I want to share with you from 'Gideon At The Winepress', when he encountered the Lord. The first thing I want you to see is the prevailing conditions, the prevailing conditions of the day - and that relating to God's people, Israel, but also the land. By the land, I don't just mean the country so to speak, but the actual physical soil, the earth, and how it was being affected. Can I say that this is often the backdrop, what we're going to see here, is often the backdrop of a Divine encounter - because it is the context of the perilous desperation of God's people and the nation that causes people to cry out to God to intervene and interject, so that He may encounter them again. This we see very graphically in the book of Judges, if you're familiar with the book of Judges you will know right from the outset that there is a cycle. We have this statement which really sums up the spiritual climate of the day: 'Every man did that which was right in his own eyes, because there was no king in Israel'. What that basically means is that because there was no ruling authority everybody did what they saw fit, so there was general rebellion in the nation. God was the King, or He was meant to be at least, but they wouldn't obey Him. So there is a complete insurrection, a usurping of the authority of God and of God's government - and because of that, you see a cycle in the book of Judges. First of all there is a declension, and people fall into sin. We're told eight times in the book of Judges that the people 'did evil in the sight of the Lord', over and over again. So there is this moral and spiritual declension, and then God causes His people to be disciplined. He disciplines them by allowing enemies to overrun them and effectively to defeat them. Do you see the pattern? Declension, God's discipline, and defeat - and then, because God people find themselves on the back foot, find themselves under the heel of an oppressor, they cry out to God for mercy and He sends deliverance. In the book of Judges He sends deliverance by a judge. This is very well summarised, if you turn to chapter 2 of Judges verses 16 through to 19: 'Nevertheless, the LORD raised up judges who delivered them out of the hand of those who plundered them. Yet they would not listen to their judges, but they played the harlot with other gods, and bowed down to them. They turned quickly from the way in which their fathers walked, in obeying the commandments of the LORD; they did not do so. And when the LORD raised up judges for them, the LORD was with the judge and delivered them out of the hand of their enemies all the days of the judge; for the LORD was moved to pity by their groaning because of those who oppressed them and harassed them. And it came to pass, when the judge was dead, that they reverted and behaved more corruptly than their fathers, by following other gods, to serve them and bow down to them. They did not cease from their own doings nor from their stubborn way'. So you see this cycle: declension, discipline and defeat by an enemy, and then deliverance - but they fall back into this pattern again, but even worse. There are thirteen judges, or 'saviours' we might call them, mentioned in this book. In the book of Joshua, God was with all His people to give them victory; but when we come to the book of Judges He wasn't so much with His people, but He was with the judge. He empowered individuals to help God's people come to a place of overcoming. Here is the backdrop, the prevailing conditions, in chapter 6 at the time of Gideon - it's really pathetic, it's a pitiful picture of where God's people are at. Look at verse 2 of chapter 6: 'The hand of Midian prevailed against Israel' - so their enemy at this juncture in their history are the Midianites - 'Because of the Midianites, the children of Israel', now picture this in your minds, 'made for themselves the dens, the caves, and the strongholds which are in the mountains'. So here are God's people hiding, cowering in fear from the enemy in little crevices, dungeons, caves, hideouts in the mountains. We not only see this, but we see that the enemy was destroying their fruitfulness, if you look at verse 4: 'Then they would encamp', this is the enemy, the Midianites, 'against them', Israel, 'and destroy the produce of the earth as far as Gaza, and leave no sustenance for Israel, neither sheep nor ox nor donkey. For they would come up with their livestock and their tents, coming in as numerous as locusts; both they and their camels were without number; and they would enter the land to destroy it'. Like locusts, they would just descend on the livestock and the agriculture and the crops, and destroy it. Now we don't understand what locusts are, apart from looking them up on the Internet or something like that, we have really no perception of what locusts are like as a pestilence. It's incredible. I remember researching this once when I was studying, I think it was the book of Amos, or Joel maybe, and I learned that in Africa it's known for locusts to cover a surface more than 2000 square miles - 2000 square miles is just under half of Northern Ireland! A swarm of locusts could come and completely, as it were, hoover up all the fruit of the land. So we're seeing how God's people were affected and infected by the prevailing conditions of the age, but what we are beginning to see is how even the very land is affected by the declension of God's people. Now, if you were here at any of the meetings where Alistair Petrie was teaching, or you've bought any of his books, he's an expert on this whole area of how even the land cries out because of what is being committed upon the land, how the land can be defiled. We're not going to enter into that in any detail tonight, but you may care to turn with me to Hosea 4 to see this borne out - Hosea chapter 4 quickly, or you can just listen as I read it to you. Hosea the prophet, verse 1 says, listen: 'Hear the word of the LORD, you children of Israel, for the LORD brings a charge against the inhabitants of the land: 'There is no truth or mercy or knowledge of God in the land. By swearing and lying, killing and stealing and committing adultery, they break all restraint, with bloodshed upon bloodshed. Therefore the land will mourn; and everyone who dwells there will waste away with the beasts of the field and the birds of the air; even the fish of the sea will be taken away'. Do you see the principle here? Because of what man is doing on the land, the land becomes affected so that the land itself mourns, cries out for deliverance. This can happen today, but this was the prevailing condition of Gideon's day - but this is really where we're focusing. I want you to see secondly the supernatural intervention, and this is found in chapter 6 of Judges and verse 11 - the supernatural intervention of the Angel of the Lord. Verse 11: 'Now the Angel of the Lord came and sat under the terebinth tree which was in Ophrah'. Now, I'm trying my best, whenever I read the Bible, to read it as if I've never read it before, to read it without my religious or traditional glasses on. Ryan was talking about how sometimes there is humour in Scripture - I don't think there is intended humour here, but I found this quite amusing, let's say, because it's so matter-of-fact the way it is stated here, isn't it? 'The Angel of the Lord came and sat under the terebinth tree' - this is not really the way you would expect an Angel to behave, is it? I mean, if an Angel appeared to you, you would expect it to be in flaming Shekinah glory and light, and maybe a flaming sword and a rainbow round him or something - this Angel is just sitting under a tree. We could describe it as 'naturally supernatural'. I think there is something in this. I believe that one of the greatest hindrances to the supernatural in all of our lives is that we require it to be spectacular or sensational, when really the supernatural is often very natural, it's often more natural than we ever conceive of. Here you've got the Angel of the Lord, and He's coming just sitting under the tree. I wonder were there other people around? There was bound to be, because this was Gideon's father's tree, and so there must have been family, workers and so on, farmhands around - do you think that they noticed this Angel sitting under the tree? You might say: 'Of course they did, I mean if I saw an Angel sitting...' - but hold on, was He recognisable as an Angel? I don't think He was, He was quite ordinary, I believe, and I think it's borne out in this story because Gideon wasn't aware that He was an Angel initially. When we look at the biblical record, we discover that often angels appeared as ordinary men. Now, they weren't ordinary men, but they could appear in that fashion. Here's a lesson that we need to learn: the extraordinary may first appear as very ordinary. Let me repeat that: the extraordinary may appear first as very ordinary. Do you remember when we were looking at Jacob, he thought he was wrestling with a man at Jabbok, didn't he, in the middle of the night? When, in fact, he was wrestling with God - but he didn't know! So there is something that seemed natural, a wrestling match, and he was a fighter, he was a twister, he was a supplanter - this was right up his street, he was a scrapper - so it was natural. But he didn't realise, he didn't recognise until later that this was actually supernatural. This is not how we consider the supernatural, we expect to be bowled over all the time by the supernatural, we expect the supernatural to be in our faces - yes? But so often, initially, the supernatural begins in the sphere of the ordinary. Moses was the same, where do we find him? Out in the backside of the desert tending his father-in-law's sheep, and what does he see? A burning bush. Now, can I tell you: that was nothing extraordinary in the wilderness, to see a burning bush. Now, he noticed that there was something unusual about this ordinary burning bush, and that was that no matter how much it burned it didn't consume, it didn't burn up. It was that that caused him to turn aside to see this great sight, and it was only then that he had the complete revelation and the encounter with God, it was only then that God spoke to him, when Moses says: 'I will turn aside to see this great sight' - but I want you to understand: initially there was nothing extraordinary about seeing a burning bush. I think there is a truth here, and we actually see that Moses' curiosity - didn't we make this very point that night we looked at Moses? - it was his curiosity that drew God to him in an encounter. 'What's this? It looks ordinary, I've seen this a thousand times, but there is something different about this, I want to look into this' - and when he started looking into it, God spoke. I can even show you this very principle from the Lord Jesus Himself. Isaiah 53 says of our Lord: 'He grew up before Him', before God, 'like a tender shoot, and like a root out of dry ground. He had no beauty or majesty to attract us to Him, nothing in His appearance that we should desire Him'. If you were God, and you were going to send Your Son as a Man, how would you have made Him? Nothing in Him, physically speaking, in the outward appearance, to attract us to Him - can you tell me of anyone, anything or anyone more supernatural than the Son of God? Yet it was hidden, to a degree, initially. In a crowd, there would be nothing to make Him stand out, He certainly didn't have a halo round His head. Yet John said in John chapter 1 and verse 14: 'We beheld His glory, the glory of the only begotten of the Father, full of grace and truth'. Now, how can that be? Here's how it is: you need eyes to see beyond the natural. The supernatural interventions of God often begin seemingly in a very ordinary matter-of-fact way, and it's not until your inquisitiveness, intrigue is stimulated, and you just start to pursue, that God then meets you. Do you have spiritual inquisitiveness and curiosity? Proverbs 25 verse 2 says: 'It is the glory of God to conceal a matter, but the glory of kings is to search out a matter' - oh, that's profound. The glory of God is to conceal a matter, and our job - if we want to be like kings (and we are meant to be a kingdom of priests) - is to search out the glory that God has hidden. That's why Jesus taught in parables. I hear people say: 'Oh, Jesus taught in parables because it was the everyday language and concepts and illustrations that people understood, and therefore helped them to get His teaching a lot easier', that's not true. It may be true to a degree, why He used terms and figures and types and images and pictures that people were familiar with, of course - but actually He Himself said that He spoke in parables so that the truth and the depths of the supernatural kingdom of God would be hidden from those who would not believe. It was to, I suppose, stimulate people who were hungry and seeking after God to actually look into the matter, to tease it out, to open it up in order to find - it was only those who were hungry and thirsty who would look into them. Other people would say: 'I don't understand a word of that gibberish! ', and walk off; but the people with hearts after God, they probed, pursued. So we need to train ourselves to look for God's intervention in the darkest of times, and when we are prepared to even see the supernatural in the natural, to see the extraordinary in the ordinary, and have eyes that are tuned to even look beyond what seems to be bog-standard everyday stuff, you will find at times you will entertain angels unawares. There are the prevailing conditions, the supernatural intervention of this Angel, and then the unlikely candidate that the Angel comes to. Read this as if you were reading it for the first time: this Angel just wanders into a winepress and starts speaking to Gideon. He is a stranger to him, and He probably just looks like a man. So, you imagine you're doing your everyday work, whether in the yard, or in the field, or in the office, or in the school, or wherever; and a stranger just comes in and starts talking to you. Gideon addresses Him, if you look at it, you'll see he addresses Him in verse 13 as 'Lord', but in your version I would imagine it has a small 'l', not a capital 'L', but a small 'l'. It's the word 'adonai', which is also used of God as Lord, but it's the word 'adonai' with a small 'a', if you like - it just means 'sir'. So Gideon has no idea that he is talking to an Angel, let alone the Angel of the Lord, and he just calls Him 'sir', if you like. So this stranger that he has never met before just wanders into his place of work, and says to him in verse 12: 'The Lord is with you, you mighty man of valor!'. Now, what do you think Gideon would feel like? Did he just fall under the Spirit and say 'Praise the Lord! Glory! God has appeared to me, and I am a mighty man of valour!'? No, he didn't. I imagine he was incredulous, thinking: 'Who are you? What are you doing here? What do you know about me? If you knew anything about me, you would know that is not an apt description of where I am right now'. Why would this be Gideon's reaction? We see it in verse 13, Gideon said to him: 'O my lord, if the Lord is with us, why then has all this happened to us?'. What an unlikely candidate Gideon was for this angelic appearance, and for this statement 'mighty man of valour' - first of all, because he was paralysed by fear. I love Gideon, I love the whole story of Gideon, which we can't look at tonight, but I can identify with Gideon because - I think I've shared with you many times before - fear has been a problem right throughout my whole life. Here is Gideon hiding, he's hiding - you don't thresh wheat in a winepress, you tread out grapes in a winepress - but he's threshing the wheat there because he is afraid of the enemy taking his wheat. So he's hiding in the winepress threshing out wheat because he's scared! But he's no different than the rest of the people, because remember what they were doing in verse 2: they're hiding in little caves and crevices and peepholes around the whole of the mountain area - so he's just conforming to the status quo, we would say, the state of everybody else. He is no different than anybody else, but here's what I want you to see: you may not be different than anybody else in the church, you're no worse than the person sitting beside you in the pew perhaps, but whenever you have a God-encounter God sets you apart, God distinguishes you. We're not talking about pride or anything like that, it doesn't make you any better than anybody else, but you can no longer go with the flow, you can no longer just do what everybody else does. This is what is happening to Gideon. He is unlikely as a candidate because he is paralysed with fear, and secondly he seemed to be racked with doubt. If you look at the tone of verse 13: 'If the Lord is with us, why then has all this happened to us? And where are all His miracles which our fathers told us about, saying, 'Did not the Lord bring us up from Egypt?' But now the Lord has forsaken us and delivered us into the hands of the Midianites'. Now, don't misunderstand me, we should be asking questions, we really should. We should be asking: 'Why are we not seeing the miracles that our fathers did, or that the apostles did? ', we should be asking those questions - but essentially Gideon was asking these from the vantage point of fear and, you know, fear is the fruit of unbelief. You do know that, don't you? Fear is the fruit of unbelief. The acronym is False Evidence Appearing Real - in other words, whenever you believe the lies of the devil, you empower the liar, and you give fear an entry point in your life. This is ungodly fear that we're talking about. So what happened with Gideon was: he had got his eyes onto the prevailing conditions of the day, and that became his reality, everything going on around him in God's people, on the land, how the enemy was advancing. His focus was on the prevailing conditions, that was his reality - what are you focusing on? I might have told you this before: whatever you focus on will become the reality. To give you an example, there is a crowd here, I don't know how many there are - but, you know, you're a crowd, and I'm looking out and I can see you as a crowd, if you look around you can see a crowd - OK? But if I say: 'Ian, good to see you there, put your hand up Ian. There is Ian, everybody turn round and look at Ian' - I have now focused on Ian, and I have caused Ian to become alive to all of you. One moment there is just a crowd here, but when I focus in on Ian, he becomes alive, he becomes the focus. It's the same with our fears: if we focus on the conditions that are prevailing, whether it's reality to an extent, if we focus on them we will steer towards them and they will become our new reality, and they will overpower us, overwhelm us, and overcome us. What Gideon needed was the eyes of faith, which is what Abraham had. You remember in Romans 4 it says: 'Against all hope, Abraham in hope believed, and so became the father of many nations'. This is a guy, 100 years of age, and God has told him: 'You're going to have a child' - boy, he would have to have faith, wouldn't he! His wife wasn't far behind, and her womb was dead - but against all hope, in other words, in a hopeless situation, Abraham, in hope, believed. The verse before it says: 'as it is written, 'I have made you a father of many nations'', he is our father in the sight of God 'in whom he believed, the God who gives life to the dead and calls into being things that were not'. That's God, He calls into being the things that are not. In the beginning God created the heaven and the earth, 'ex-nihilo', that means 'out of nothing', that's the Latin phrase. God didn't use stuff to create things, He called it out of nothing, created matter out of nothing by His word. Faith comes by hearing, hearing by the word; and so, when we speak the word of faith, we have got the ability, in the Spirit, to bring into being the things that are not. Rather than focusing on the conditions that are prevailing, to actually speak over our lives, over our environment the truth of God - that's what Abraham did every time he said the word 'Abraham'. When people said to him: 'What is your name? ', because they knew him as 'Abram', which means 'honoured father', God changed it to 'Abraham', which means 'a father of multitudes' - and this guy can't have the one child God has promised him. Can you imagine what it was like? Again it's funny, if it wasn't so cruel, imagine this 99-year-old walking down the street and somebody saying 'What's your name? ', 'Father of multitudes', 'How many children do you have? ', 'Well, um...'. Do you understand? What was he doing every time he spoke that name over himself? He was declaring by faith the promise of God, wasn't he? Speaking it out against all hope, in hope believing. It's encouraging, isn't it, the candidate God comes to - Gideon, full of fear and full of doubt. Further to your encouragement, 1 Corinthians 1 tells us: 'You see your calling, brethren, that not many wise according to the flesh, not many mighty, not many noble, are called. But God has chosen the foolish things of the world to put to shame the wise, and God has chosen the weak things of the world to put to shame the things which are mighty; and the base things of the world and the things which are despised God has chosen, and the things which are not, to bring to nothing the things that are, that no flesh should glory in His presence'. Many of us think that there are things that disqualify us from being any use to God, but in fact the things that we think disqualify us actually qualify us! Many of the things that we think are qualifications aren't! God is looking for a man to turn the nation to Him, and He comes to this fellow! The prevailing conditions, the supernatural intervention, the unlikely candidate, then I want you to see fourthly: the divine perspective. You know that verse, don't you: 'His thoughts', God's thoughts, 'are not' - what? - 'our thoughts, God's ways are not our ways'. God's thoughts are declared in this book, aren't they? There is the Logos, the written word of God; the Living Word of God, Jesus; then there is the 'rhema', which is the spoken, proceeding word of God. I've got to be honest with you, this book, and what God says at times into my heart, does not make sense. Is there anybody has got the guts to agree with me? But you see, commonsense Christians almost immediately disqualify themselves for God encounters. Let me say that again: commonsense Christians immediately disqualify themselves for God encounters. You see, God sees things from His perspective, and whatever our reality is, His perspective is an alternative reality to ours, and His real is the real real. This isn't complicated. Verse 12, the Angel of the Lord comes to Gideon and says: 'The Lord is with you, you mighty man of valour!'. Now, that was the complete opposite image to everything that Gideon was in human terms. Yet this was God's real. Do you see what I'm saying about commonsense? I think I shared with you, I know I did, when I was doing the series 'Deeper Healing' here, I think it was last year, about finding true identity, about Michelangelo's great work of art, the statue of David that you can see in Rome today. How he looked at this weatherbeaten, worn slab of marble that nobody wanted or knew what to do with, and he saw in it a 17 foot statue of David that is still the wonder of the world today. I told you as well that Charles Seymour wrote a book in 1964 about Michelangelo's David, and the subtitle was 'The Search for Identity'. That's insightful, because you and I are just big lumps of marble, big slabs of marble. Maybe people don't see beauty in us, people don't see potential, they see how worn or used we are, or apparently useless - but when God looks at us, what does He see? I want to ask you: when you look at you, what do you see? How do you see yourself? A lot of people in our society have an identity crisis, many young people in particular. They are growing up not knowing who they are, or how they're meant to be. There is so much identity confusion about! Of course, the source of the original identity confusion comes from the first identity thief. The first identity theft was in the Garden of Eden. It says in Genesis 1 that God created man in His image, in the likeness of God created He them, man and woman. It was the enemy came in and said: 'Has God really said this, and that, and the other? ', to distort man's image and reflection of God. That's always the way we have identity crises, it's caused by an alienation from God who gave us our identity in the first place. That's why society has a mass identity crisis, but that could be why you have a problem with how you see yourself tonight, the internal picture of yourself - what is it? That internal picture of yourself that dominates every aspect of your life, your thoughts, your feelings, your actions, your habits, your relationships, your success, your career. Do you know that most Christians continue to live out of a broken picture of themselves long after their identity has been changed in Jesus? God says 'You're in Christ', God says 'You're seated in heavenly places in Christ Jesus', God says 'You have the mind of Christ', God says 'You're being changed from glory to glory into the same image as Christ as you behold His face' - and yet you're still living out of a broken image of yourself, even before you came to know Jesus. I want to challenge you tonight to ask God how He sees you, and listen to Him. Look at verse 12, this is how God saw Gideon: 'The Lord is with you, you mighty man of valour! ', verse 14, 'The Lord turned to him and said, 'Go in this might of yours, and you shall save Israel from the hand of the Midianites. Have I not sent you?''. What might of his? Now this possibly, as we will see in a moment or two, was an impartation of might, that He is imparting strength to him that he needs - but do you see what God is doing? He's looking at Gideon, and He's effectively prophesying over him, He's pronouncing what He's going to make him into, what He sees him as. This is a 'You are... but you shall be...' moment! They are right throughout Scripture. In John chapter 1 Jesus says to Simon: 'You are Simon, son of Jonah. But I say unto you, you shall be called Cephas'; 'You are... but you shall be called...' - rock! You see it in Jacob, didn't we learn this? What does his name mean 'Yaqov', 'Twister', 'Supplanter', 'Thief', 'Heel-Grabber' - and God, in that wrestling moment at Jabbok, He says: 'You are Jacob, but you shall be called 'Israel', a Prince with God'. The overcomer became overcome by the Lord, and here Gideon is overcome by fear, fear of the enemy, but he becomes eventually an overcomer of the enemy - because his identity is found in the Lord. Look at verse 15: 'So he said to Him', so that is Gideon said to the Angel of the Lord, which is God Himself, ''O my Lord, how can I save Israel? Indeed my clan is the weakest in Manasseh, and I am the least in my father's house''. Now, I want to ask you a question: is this humility? Is it? Or is this an inferiority complex? I have heard it preached as humility, and this is why God came to him - no, this is an inferiority complex. Listen: there's a lot of false humility around in Christian circles, and we are experts at it here in Ulster. 'Woe is me! Why should You come to me, Lord? (What kept You!)'. But we have also this perception of spirituality as wallowing in the dirt, carpet time, with our mouths in the gravel - now, I'm not saying there is not a place for humility and brokenness, but we've got to understand what true biblical humility is. Listen to Romans 12 verse 3: 'For I say, through the grace given to me, to everyone who is among you, not to think of himself', or herself, 'more highly than he ought to think, but to think soberly, as God has dealt to each one a measure of faith'. Do you know what that means? You're not to think of yourself more highly than you ought to think, but you're not to think of yourself less highly either - that's as much a sin as more highly, less highly. Listen to Galatians 6:3-5 in the NIV, just listen to it, Galatians 6:3-5: 'If anyone thinks they are something when they are not, they deceive themselves'. We've got that: 'Who do you think you are? He thinks he's somebody!' - we get that very well here, don't we? 'Each one should test their own actions. Then they can take pride in themselves alone, without comparing themselves to someone else, for each one should carry their own load'. Oh? I'll leave that one with you, but let me say: humility is not thinking less of yourself, it's actually thinking what God thinks of you - please get that. Humility is not thinking less of yourself, it's just thinking what God says, feels, and thinks about you - that's true humility. The divine encounter that Gideon had gave him a change of perspective that paved the way for great exploits for God. You've heard that statement, isn't it in Daniel, 'They that know their God shall do exploits' - but I want to add to that, they that know themselves in God shall do exploits. Even before the ministry of our Lord Jesus Christ, He had a Divine encounter. I know He was God's Son, but as a man humbling Himself before a Heavenly Father, He had to be anointed by the power of God - and that took place at His baptism, when the Dove came down, but do you remember what else happened there? The heavens cleaved, and the voice came: 'This is My Beloved Son, in whom I am well pleased' - identity! Are you getting this? God was affirming Him as His Father, God was affirming Jesus as His Son. Now in John 13, you remember where Jesus took the towel and washed the disciples' feet? A lot of people miss this, John 13, listen: 'Jesus, knowing that the Father had given all things into His hands, and that He had come from God and was going to God, rose from supper and laid aside His garments, took a towel and girded Himself' - that was the footing from which Jesus, the launching block from which Jesus could strip Himself down, gird Himself with a towel, and wash the disciples' feet - why? Because He knew who He was, He knew where He'd come from, and He knew where He was going; He was secure in His identity. No false humility. Do you have divine perspective on who you really are? For some of you, it's time to spit out this mealymouthed false humility, this whiny, moany stuff about how God has overlooked you and bypassed you, and all this nonsense; and realise who you are in Jesus. Start cupping your ear to heaven and listen to what Heavenly Father says about you, what He thinks about you, what He feels about you. It's not always obvious when God comes to us, you know that, don't you? I've been labouring this already tonight, but you remember the disciples out in the storm, and Jesus walked on the water and they thought He was a ghost! The disciples thought Jesus was a ghost, a phantom! Do you know what Gideon says? 'Look, show me a sign that it is You who talk with me', verse 18, 'Do not depart from here, I pray, until I come to You and bring out my offering and set it before You'. This is funny, you see what Gideon is doing? He says to the Angel, the Angel of the Lord: 'Now, You stay here, alright, just You stay put, and I'm going to get something, and I'm going to test whether You are from God or not' - that's what's going on here. Now, if you were God (just humour me for a moment), if you were God, what would you do? You would say: 'Who's next in the queue? Who else is there? This boy is useless!'. But what does the Lord say? Look at the end of verse 18: 'And the Lord said, 'I will wait until you come back''. Isn't He good? He's wonderful! He condescends to our weaknesses, that's one of the things I think of when I think about Gideon - Psalm 103:14: 'He knows our frame; He remembers that we are dust'. He condescends to Gideon's weakness. You look at verse 36 on, we're not going to read it of course, but Gideon repeats this asking for signs, and he asks for the fleece, and he asks for the fleece with the water on the fleece, and then he asks for no water on the fleece but the water on the ground and all the rest - and he's still asking for signs. I know what some of you are thinking, I'm reading your mind now: 'Is it right to put out a fleece?'. You know that's a question that people ask, and it's debated about: 'Is it right to put out a fleece?'. Well, I know that Gideon should have just believed God, because Gideon had the word of God, God told him what was going to happen at this point - but sometimes God, who knows us, knows we need a sign. So, there is my answer to you - it's not really an answer. He should have believed the word of God, yes; but sometimes the gracious, compassionate God of heaven, who knows us in our weaknesses, knows that we need a sign. That's good enough for me. 'Oh', somebody will say, 'Matthew 16 verse 4, Jesus said: 'A wicked and adulterous generation seeks after a sign' - we shouldn't be looking for signs'. The only reason why Jesus said that was because He had done numerous signs, and the Pharisees were blind to it, and now they were asking for a specific sign, a spectacular one from heaven. They were testing the Lord Jesus in unbelief, but that is not what Gideon was doing here. Gideon was proving God from weak faith, there is a difference. It's like Mark chapter 9, you remember the man who had the sick child. He came to Jesus and said: 'If You can do anything, would You heal my son?'. Jesus said 'If you can believe, all things are possible to him who believes'. What was his retort to that?' I believe, help my unbelief'. What was that? Well, it was from the vantage point of weak faith that he was wanting to prove God - that's different to testing God from the place of hard unbelief. God can give signs when you're seeking Him, and when you're hungry after Him. Gideon gets the signs in verse 21 and verse 22, look at it: 'Then the Angel of the Lord put out the end of the staff that was in His hand, and touched the meat and the unleavened bread; and fire rose out of the rock and consumed the meat and the unleavened bread. And the Angel of the Lord departed out of his sight', this is funny, 'Now Gideon perceived that He was the Angel of the Lord' - round of applause for Gideon, 'Well done, Gideon! You've got it now!'. What was Gideon's reaction? Mighty, swashbuckling faith? 'I know who it is now, it is God! Look at this, He just went up in a flame, up into heaven, this theophany I've just seen. Wow! Let me go out and take the Midianites right now as one man, I'm ready - because look what just happened, this experience I had with God'. Is that what Gideon's reaction was? Look down at verses 22 and 23, he says at the end of verse 22: 'Alas, O Lord God! For I have seen the Angel of the Lord face to face. I'm going to die!' - that's what he's saying, because they believed anybody who saw God would die. That's why the Lord says to him in verse 23: 'Peace be with you; do not fear, you shall not die'. By the way, I'd just like to say that as I was reading that at the very beginning, I felt that was a word for someone: 'Peace, be still. Peace be with you; do not fear, you shall not die'. Then in verse 23, and this is my final point, I'm almost finished: there was an impartation of supply. That's what's in this word 'Peace be with you; do not fear, you shall not die'. Listen: there was an impartation of supply, God gave him the very thing that he lacked. The thing that he thought disqualified him from being God's instrument to beat the enemy was his fear and lack of faith, his unbelief and his doubt; but God gave him the very thing that he didn't have. This is what is common with divine encounters, I feel, that Gideon came to know God in the very area He met his need. People say you should worship God just for who He is, not for what He gives you; and I understand that, and there is an element of truth that I agree with, but here's what I find in Scripture: that we only tend to know God, because He has created us as finite beings, in the midst of our need when He comes and supplies it, and reveals Himself to be our Saviour. Do you remember Moses at the burning bush? 'I AM', God reveals Himself to him as 'I AM' - 'I am' is an unfinished sentence, it doesn't even make sense. So what is He talking about? He's saying 'I AM whatever you need', and then Abraham discovers He is 'I AM Jireh', Jehovah-Jireh, God the Provider, He provides a ram in the thicket for the sacrifice. Gideon discovers in his fear and his doubt 'I AM Peace', Jehovah-Shalom - do you see it? What is it that you need tonight? What is it that you need in order to do what you believe God wants people to do on the earth? Maybe you have excused yourself from it because you don't have what you need - that's your qualification, if you don't have what you need, for God to come and give you what you need so that no flesh glories in His sight! That's why He chooses burned out, broken, banjaxed people to do His bidding. But I have to tell you: people might want a God encounter, but this impartation of what Gideon lacked was given to him in order to be used. Many people want spiritual thrills, and highs, and experiences, but they want to consume them upon their own lusts in a sensual way, to get a buzz. I'd rather get a buzz from God than anything else, quite frankly, I don't think there's anything wrong with that at all - but the problem is when we don't realise that the impartation was meant to be used, and that's why the Holy Spirit was poured out at Pentecost in Acts chapter 1 verse 8: 'You shall receive power when the Holy Spirit has come upon you; and you shall be witnesses to Me in Jerusalem, and in all Judea and Samaria, and unto the uttermost parts of the world'. The Holy Spirit was given not so that they could roll around drunk in the Spirit alone, but so that they could go out and preach the Gospel to the four corners of the world. Fear had to be conquered through continued obedience in Gideon's life, that's why God gave him a commission in verse 25: 'Now it came to pass the same night that the Lord said to him, 'Take your father's young bull, etc, etc, tear down the altar of Baal that your father has'. God is funny, isn't He? 'It came to pass the same night’, like we would be saying: 'Give the fellow a day or two now to settle down after that, God has really done a deep work there of healing, and He's setting him free from fear', and God comes and says: 'Right, now go on, tonight I want you to go and tear down the idol in your father's backyard' - and his father most likely was the priest of Baal. You know, God can deliver people from fear, I have seen it many times - but I also know this: God expects you to face your fear. That's what He asked Gideon to do that night, and, you know, Gideon was so scared that he did it in the middle of the night - that was all right. God was taking him step-by-step, and He would turn him into one of the greatest warriors that Israel ever knew; but isn't it wonderful to know that God uses imperfect people? That's you, in case you didn't know! Look at what God can do with imperfect people, look at verse 34, we're skipping a whole dose of things out, but look at verse 34: 'The Spirit of the LORD came upon Gideon; then he blew the trumpet, and the Abiezrites gathered behind him'. Do you see that phrase 'the Spirit of the LORD came upon Gideon'? It could be translated 'the Spirit of the LORD clothed Himself with Gideon'. People clothe themselves with armour when they go into battle, not with scaredy-custards - but God clothed Himself with Gideon. It could also be rendered, as some people have done: 'God the Spirit put Gideon on like a glove'. Wow! Let's pray. There were the prevailing conditions among God's people and in the land, but then came the supernatural intervention to an unlikely candidate, who changed his perspective of himself to the Divine perspective, gave him the signs that he needed, and imparted the supply that he was lacking; and then God possessed that man and changed history with him. God wants to do something with you, do you know that? He wants to do something big with you, His plans are always big for His people. Don't you have this mealymouthed false humility: 'Oh, woe is me, how could God use me?' - shut up, and start believing what God says! You're listening to the devil, you're not listening to the word of God. Listen to the Spirit of God, what He's saying. Time is short, we haven't got time for all that nonsense, God has so much He wants to show you, God has so much He wants to reveal Himself to you in - His nature, He's got an adventure for you, He's got excitement, He's got a rollercoaster for you - and you're sitting in your pity corner filled with fear and doubt. Why don't you ask Him for a sign? Don't tell anybody I said that! Ask Him for a sign. Don't tell Him what it is now, and don't look for big things - He can do big things, but He often comes in the wee things, in the ordinary. Guess what will happen, here's what will happen: if you keep looking at the ordinary things, and looking for Him in the ordinary things, do you know what's going to happen one of these days? He's going to take one of those ordinary things, and show you that it's not an ordinary thing, and He'll come to you, He'll manifest Himself to you, and you'll never be the same again. Lord, I thank You for what can happen in a moment with You. I just pray that some people will be having their moment right now. Lord, I would love a few more, many more in fact. Lord, a lot of that is down to me, I think. Lord, help us to position ourselves, give us eyes to see, let us not be conformed to this world but transformed through the renewing of our mind. Lord, I pray that You will begin to deliver people here tonight from fear, from unbelief, from false humility, from inverted pride that is false humility. Cause them to see themselves as You see them. Lord, would You impart - I pray now, Holy Spirit, for an impartation of whatever people are lacking in here tonight. Lord, You give the gift of faith, so would You give faith to people who are filled with fear here tonight? Holy Spirit, I ask You, come and clothe Yourself with us, put us on like a pair of gloves to do Your will for Your glory. Amen. 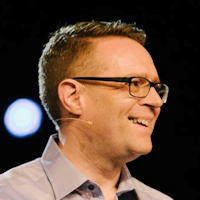 This sermon was delivered at Loughbrickland Mission Hall in Northern Ireland, by David Legge. It was transcribed from the third recording in his Divine Encounters series, titled "Gideon At The Winepress" - Transcribed by Andrew Watkins, Preach The Word.